Today I came across Sara's tutorial from Sew Sweetness on her Dirty Bubble Zipper Pouch tutorial. 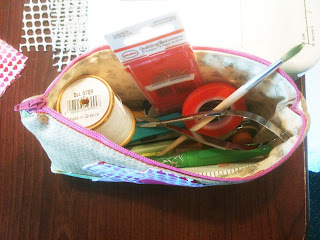 I was looking for a simple zipper pouch to sew. Here are photos of what I made from her tutorial. 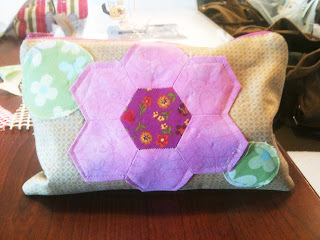 I included hexies on both sides of the pouch along with the circles from her tutorial. I left the circles raw edges and my zipper did not come out that well as Sara's, but I will keep practicing sewing zippers. Stop by Sara's blog Sew Sweetness and check out her beautiful Dirty Bubble Zipper Pouch tutorial. I sewed my zipper pouch on my new Janome 7318 Magnolia that I purchased over at Catus Quilts in Texas City, Texas. I wanted a smaller machine other than my big PFAFF machine to carry with me on my trips. 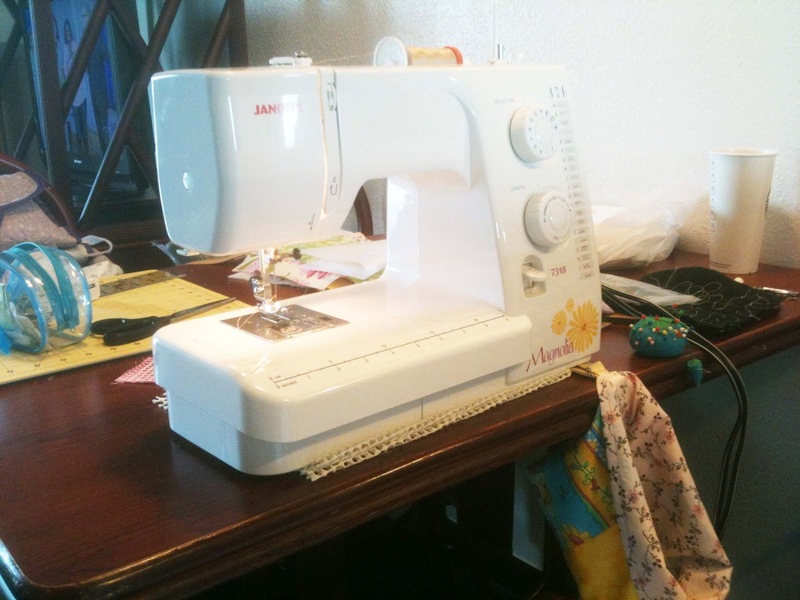 I like how it sews and yes, it is mechanical and hope one day I will get way better at sewing and sell all my other machines for a nicer one. 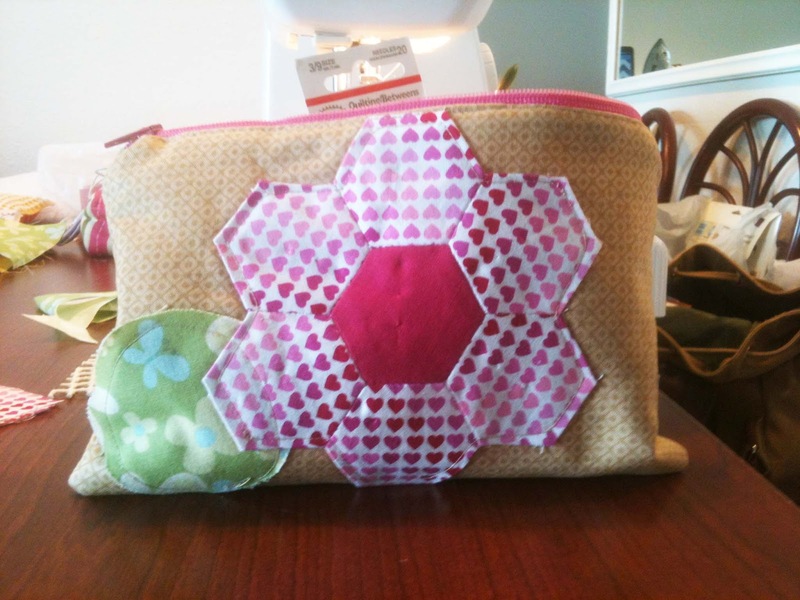 In the mean time I will practice on my new 7318 and try out all the sweet stitches and try my hand on FMQ. 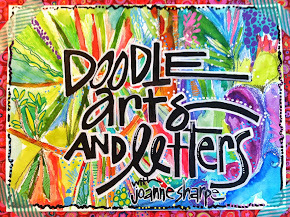 I also wanted to remind my fellow bloggers that I will be posting on the Nancy Drew Blog Hop Madame Samm from Sew We Quilt and Carol from Just Let Me Quilt are hosting March 6, - 15, 2013. My day will be on Thursday March 7, 2013. My first hop for the year. 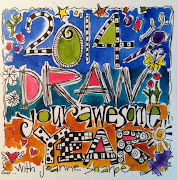 Today, Madame Samm is having a It's About Me Blog Hop thru the 28th and the pattern is one from Amy Bradley Designs. It has been a wet day here in Galveston, Texas and today is the start of the Rodeo in Houston, Texas. George Strait tickets are sold-out.